The Parasoft Marketplace now has a bash script for running tests on a remote SOAtest server. Visit the marketplace then look for Remote execution for SOAtest Server script for download link and details. You can invoke this script directly from a bash prompt or from another bash script. This script can also be invoked from your CI system as a build step to run your functional and integration tests on a SOAtest Server. Use this script in combination with Parasoft Findings to publish the test results into your CI system (Bamboo, Jenkins, TeamCity, VSTS). The server URL, credentials, and test scope are passed to the script as command line arguments. Test execution progress is printed, indicating whether the job is queued or the percent completed. When the test execution has finished, a test summary is printed and the SOAtest XML/HTML reports are downloaded. 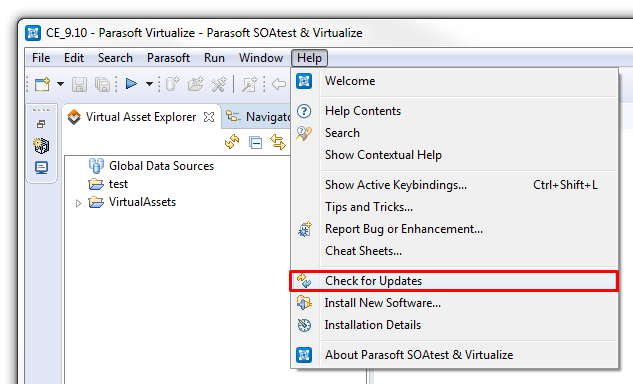 Next week we are going to do a “How to” webinar for Parasoft Virtualize Community Edition. During this webinar, you will learn how to create and deploy the virtual assets presented during the Community Edition Launch Webinar previously done on 2/14/2017. · Setup your license and get the latest updates. NOTE: this session will be recorded and reposted here. location you should have both of these on your run machine. have been copied from your build machine. Then in your base directory /usr/local/insure in this example. is running as well as the various options you want set. on both machines to determine if the same thing is returned. with the correct -blibpath set. That is by far the easiest approach. though DevStudio is not technically installed on the target. 1. Copy the instrumented executables and the pdbs from host to target. 4. Copy the ins.reg files from the host to the target. that is a sibling directory to the Insure_bin directory. A. Copy the necessary libtql* and tql files from the host. This will create the lrt cache. 6. When the target machine does not have any Visual Studio installed. A. run insfixreg -nospy -nointegration on the target machine. (note2- the lrt-cache must be located inside the lib.Win32 directory on the target). 8. Run the executable under inject.exe or InsureSpy.exe. Community License is not currently available. Please try again later and contact Parasoft if you are still unable to access Community License. This error can occur when the license connection is blocked by a firewall or there is a corporate proxy in place. 1) Check for updates. It is likely that any licensing issues have already been resolved with the latest updates made to Community Edition. 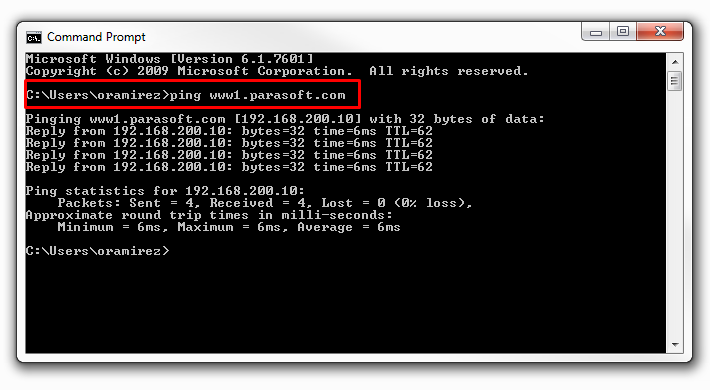 2) Ping “www1.parasoft.com”. An unsuccessful ping test indicates that there may be a firewall blocking this connection. If so, you should consult with your IT department to allow network access for your Community Edition. 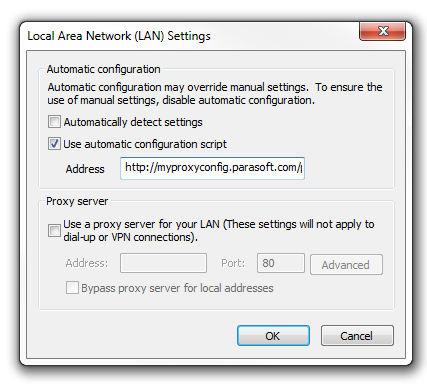 If so, try adding these same settings within your CE instance in Parasoft>Preferences>Proxy. 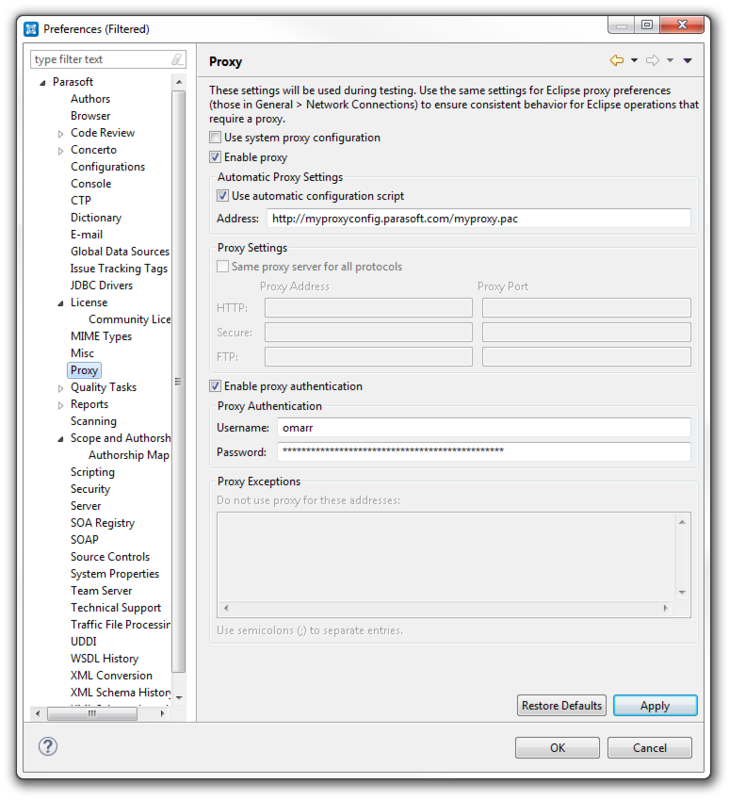 Enable “Automatic Configuration script” or “Proxy Settings” depending on your current configurations. After applying the appropriate settings, click Okay. 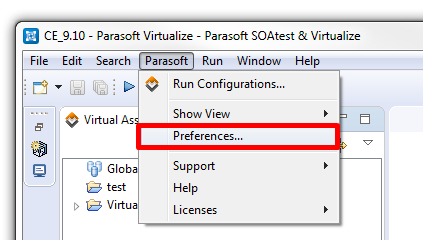 Reopen your Parasoft Preferences and re-apply your License. 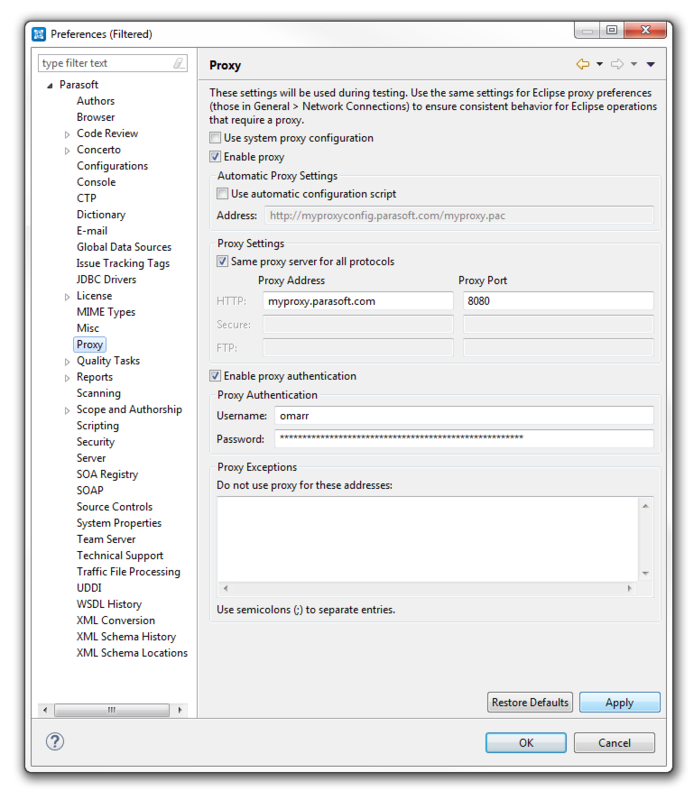 If the behavior persists, disable the initial proxy setting, “Automatic Configuration script”, and enable the secondary option, “Same Proxy Server for all Protocols”. If none of these steps resolve your license error or you continue to experience any unexpected behavior, please don’t hesitate to contact our Support team at [email protected] so that we may assist you with resolving this. json-schema draft 4 and draft 5. Some properties from json-schema draft 3 are also understood, ones that were removed or redefined in draft 4, such as the "required" property. json-schema draft 5 is the same as draft 4 except that the draft itself fixes vocabulary, various typos, and bad examples. The Swagger/OpenAPI schema object model is understood. It is a subset of json-schema draft 4 with some extensions. json-schema documents from RAML are also understood. Support for future json-schema drafts and other JSON type models are anticipated. I am making this forum post to help out new users install Virtualize Community Edition on Windows, Linux, or Mac. After downloading the installer linked from the initial email, execute the exe by double-clicking on the .exe file. Click run on the popup that appears. Click Next, then read through the End User License Agreement, then accept the agreement. Choose Full installation. When only using Community Edition, the pydev option is not necessary. If you wish, install the Root CA for https functional tests. Note: This is only necessary for SOAtest functionality, not for Virtualize Community Edition. If you wish, install a Desktop icon or quick launch icon. Click install. Once the installation is finished, click Finish. Open up your terminal and navigate into the Downloads folder. After the installation finishes, read through the additional information for starting up Virtualize from the command line. Once you have finished, press Enter.